There are companies that follow the rules, and then there are those who choose not to. We, as a reputable New York towing company, feel obliged to warn you against such frauds and give you some advice on how to avoid becoming their victim. Most people in the towing business are honest, hard-working men, but there are some who try to use their business to deceive their customers and increase their profits. Here are a couple of ordinary scams that dishonest towing service providers like to do. A common practice for those people is to simply hunt down vehicles that are in some violation of parking regulations. We are talking about simple stuff like parking too close to a fire hydrant. In some states it is illegal for towing companies to seek out violators, but they still do it anyway. There is a certain amount of time that a tow truck driver has to wait before being allowed to tow your vehicle. Some fiendish drivers will just not wait and flat-out tow your car and drive away. This is especially easy in one-hour parking lots. Such dishonest local towing companies tend to mostly attack the middle-class citizens. An older or less expensive car is not a good deal, since the owners are less likely to pay all the towing fees. Rogue towing service providers also avoid very expensive cars, because the owners are more likely to file a lawsuit against their company. That leaves middle-class citizens and their cars as the primary victims of this dishonorable act. 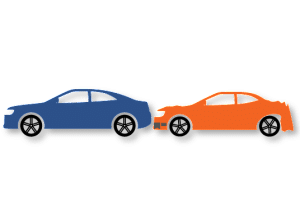 There are other problems that can be caused by unethical towing companies – outrageous bills, for example, and even serious damage to your car. Some companies do not even have trained and licensed drivers, and this always leads to problems where tow trucks are concerned. Avoid parking illegally even for a short period. By doing so you are practically inviting the scammers to tow away your car. Be familiar with the towing laws in your state. If you require the assistance of a tow truck, make sure you are calling a reputable company such as Hook and Go. With more than 15 years of experience, Our Brooklyn Towing Company has been serving Brooklyn NY and the surrounding areas including Queens, Bronx, Manhattan & Staten Island. #1 Towing Company in New York City.